My Colombia Travel Blog is here to tell the world that Colombia is now ready to be rediscovered as the amazing travel destination it is. After living in the UK for a decade I wanted to be part of the current renaissance of my country.Colombia is now safe to visit, unknown to foreign tourists and waiting to blossom as a major touristic destination in Latin America. Hello there. If someone gets to read this, I guess that formally means I’m finally starting my long planned – and long delayed - Colombia Travel Blog , so please allow me to introduce myself : My name is Marcela, I was born in Colombia a little more than 29 years ago :) and I hate to write. Yes, you have read well, I really really hate to write… when I try to do it I just keep staring at the blank piece of paper (or at the screen in this case) wanting to say a lot, but I never manage to find the right words to make sense of all the things that go through my head. So I decided to just sit down and type whatever comes out, but you have to know this process is somehow painful for me. Why go through all this then? Because as much as I hate to write , I have wanted for a long time now to tell the world what a fabulous travel destination Colombia, my home country, is. With this blog I want to tell anyone kind enough to read it how great the new Colombia is. And saying “new” is not an exaggeration; Colombia’s reality and perception are no longer those of a shady, dangerous, convulsed country. Most of the territory is now free of guerrillas, drug trafficking has diminished a lot and now there’s a new sense of security in the streets of every major city in the country. Besides that, the country’s prosperous economy has allowed people to increase their life quality a lot, we Colombians have always been kind and very friendly people, but now, for the first time in our modern history we are able to show the world everything there’s still to be discovered down here. I spent my 20s living in London, and after 10 years I didn’t amass a little fortune like most of my fellow country people, instead I expend it all in travelling around the world as much as I could…. and while doing that I realized that my country had it all, that Colombia should also be a prime travel destination like Thailand, Tahiti, or our neighbour Peru … but the truth is that I didn’t know my country THAT much , at least not from a seasoned traveler perspective, I had traveled through it as a child, but I had always taken for granted that all of that diversity and beauty was “normal” . So while checking countries off my wish list I kept remembering those unbelievable landscapes and outstanding sceneries of my childhood and thinking in the back of my head that I had to go back, with my new perspective and re-discover Colombia. And so I did, but on my way back to Colombia I ran into a very interesting tourism company called Kumuka and - to make a long story short - I ended up working for them as a Tour Conductor around South America. 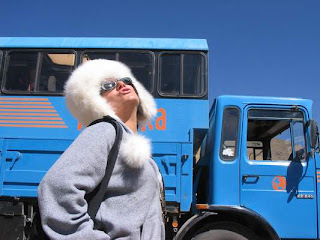 As at least other 10 companies did, Kumuka offered fun and adventurous overland tours in their own trucks around Ecuador, Peru, Chile and Argentina … do you notice that there is one particular country missing in this route? Yes, you are right, no Colombia. I had a fab time while working with them for a year and a half, thanks to Kumuka I can say now that I know most of Latin America from top to bottom, that I gained a lot of experience, met tons of fantastic people all over the world but also realized that there was still a whole lot to do in my country regarding the tourism industry when compared with other more popular South American countries. When I got tired of carrying all my clothes in a bag all around South America I decided to end this year and a half break in my “going-back-to-Colombia” plan, but my perspective was once again totally changed, I saw now a lot of potential on doing things for my country, on developing tools to make Colombia a real attractive destination and to help boost the local travel industry. It was time to embark in a journey of re-encountering with my beloved Colombia. After the usual welcome parties and gatherings with old friends and family - which being in Colombia meant 2 straight weeks of going out and partying with almost no sleep, after all we are the third happiest country in the world! – I started my journey in and around my home town and capital city, Bogota. For almost a year I restless traveled from North to South and East to West, discovering places in my own country that I wouldn’t have even dared to imagine before, while also keeping an eye open and researching on what was needed to improve the experience, to make it more accessible, friendlier and comfortable for foreign travelers. Seven colour rivers, hidden subterranean tunnels of hundreds of miles, a hidden city bigger than the mighty Machu Picchu… I was speechless, my country was really amazing! In that first long trip I also visited Cali, Sugar Plantation farms, Lago Calima, Buenaventura port, the triangle of coffee, Medellin, Santa Fe de Antioquia, Tolú, Cartagena , Barranquilla, Tayrona Park, Riohacha, Cabo de la Vela, Valledupar, Bucaramanga, Parque Panachi, San Gil, Barichara, Villa de Leyva, Zipaquira, Suesca, Desierto de la Tatacoa, La Mesa, Cerros de Bogotá… whew! I think that’s it. I saw it with my own eyes, people. And I also noticed the increasing number of tourist from North America and Europe that are slowly coming to Colombia and , believe me, there was no one of them that didn’t tell me that they wished they could stay here permanently. All of them felt , for their surprises, safer than in their own countries. One of them even told me that the most dangerous thing he experienced while in Colombia , was almos breaking his ankle while getting off a bus. True story, but I guess you’ll have to experience it yourself, so if you are thinking about coming here send me an email and I’ll gladly advice you. This blog is about those places I visited but also about life in Colombia, do’s and don’t’s and my ongoing trips through this fantastic land. I want to share the magic of both the most well known Colombia destinations with the off the beaten track hidden treasures. And here I am , convinced about the fact that we’re on the verge of seeing Colombia blossom as a major new destination, and I want to be part of it. So that’s it, I finally have a blog entry ready! I hope you enjoyed it and you’re very very very welcomed to leave your comments. Like your blog very much, good luck with keeping it, can be difficult some times. I have to confess I haven't been to Colombia yet, but I will do it this year as I have heard way too many good things. Maybe we can include Colombia in our Latin America Travel website. WAY TO GO MARCE!!!!!!!! good chance to show the world our gorgeous country. Very nice blog, good luck and God bless you. 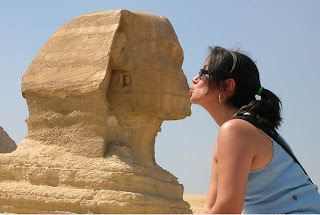 Thanks for sharing your travel stories because I enjoy reading it. Good luck to your next adventure! hace mucho tiempo que no hablamos.felicitaciones y ojala que tenga exito con tu negocio. si necesitas un buen chofer australiano, llamame! Hola Marcela, te respondi en mi blog pero no se si te llega la respuesta asi qe preferí responderte en el tuyo, te felicito por tu blog, se ve muy interesante, lo escribes desde Colombia o vives fuera? Que gusto que hayas vivido en Peru, espero que te hayas llevado una buena impresión y que regreses pronto. Por ahi te interesa que intercambiemos nuestras direcciones de nuestros blog (yo pongo la tuya y tu la mia) asi generamos mas visitas, no se si conoces algunas herramientas que te sirven para medir tus visitas (cantidad, paises, etc), no las veo instaladas en tu blog, no se si las tienes ocultas, sirven un monton y son gratuitas, si entras a mi blog vas a ver algunas de ellas, le haces click e inscribes tu blog. JL ... you rock my world. Gracias por ti! Hi Bart. I'm so happy you enjoyed my blog... Yours was an inspiration for me. Please let me know when you decide to come to Colombia, I'd be very happy to help in anyway I can. I am a Colombia fan after you showed me parts of it from 27December2008 to 27 January 2009. It is a beautiful country with a varied climate and incredible landscapes, lovely people (all those I met through you and your family) and varied exciting scenery. I love the three mountain ranges of the Andes that run through Colombia and the Swiss Alps like settings with a far better climate. Fruit is exquisite the best fresh orange in the world,and the choice of other fruits amazing. I also liked Areppas, the corn bread with various fillings placed on top, all the foods you introduced me too and many other things. Even the stunning emeralds for which Colombia is renowned. A wonderful and beautiful country with kind and laid back people who cannot do enough for you. I felt very at home because I am not that tall, so melted into the background. I loved it and must come again. Please also thank your mother, father, aunts, uncles and cousins for making me so welcome. The bloom of warmth and appreciation has not yet left me. 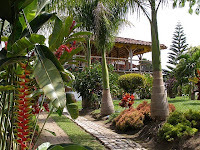 I love Colombia, its landscapes, flora, fauna, fruits and peoples and want to see much much more. Highly recommended and rated- a place of outstanding beauty- Colombi'as best kept secret which needs uncovering. Muchas gracias por escribirme tan pronto. 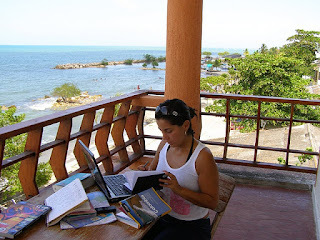 Me alegro mucho que mi blog te gustara, es toda una experiencia para mi. Tu pais, lo amo con el corazon, adoro su gente, la comida y a Lima (solo en verano ;)) uno de mis lugares favoritos es Huacachina, tengo amigos muy queridos que tienen un hotel ahi, se llama El Huacachinero. Me encanta la idea de intercambiar links contigo y te agradezco de antemano. Tu blog me parece todo un exito y tus fotos me encantan. Yo adoro tomar fotos tambien, la del encabezado de mi blog es en el Desierto de la Tatacoa, un lugar precioso y mistico del cual escribire muy pronto. Bueno, y cuando es que vas a venir a Colombia? Hola mi Anita bonita and thank you for those beautiful words about my country. Thank you also for taking the time to share with everyone your experince in Colombia. You know that this is your home, and we all loved having you around and showing you as much as we could. I will keep you updated on my travels through my tavel blog which, I'm sure, you'll share with all your friends and family. Te quiero mucho mi Anita bonita. Primero que todo quiero felicitarte por este blog està de maravilla. Es bueno que personas como tu den a conocer al mundo las grandes riquezas que hay en un paìs como Colombia. Yo vivo en Barranquilla y ahora estamos en carnaval, soy una enamorada de la gran mezcla de ritmos que se da en esta muestra folclorica. Me encantaria hacer tantos viajes por Colombia y asì poder llevar en mi memoria cada uno de los lugares que visite, pero eso sèrà cuando finalice la universidad. Nuevamente felicitaciones y muchos exitos. Marcela I could not agree with you more. I am from Montreal Canada and visited Bogota, Ibague and Armenia last September and loved ever minute. The friendly people, amazing views and all around beauty of your country have convinced me to return in 4 weeks. Colombia te amo. Congratulations for starting your blog. I am going to have an all too short visit to Columbia at the end of February. 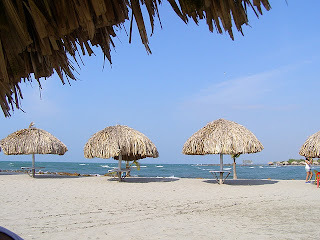 I'm visiting an American friend who lives there now with her husband and two daughters in Santa Marta. She asked me what I want to do-- and I'll be reading your recommendations. Thank you very much for your comment. It is a pleasure for me to realise that every day more and more people want to go to my Country. I don’t know if your dates work but hopefuly you’ll see a bit of the Barranquilla Carnival, which is not that far from Santa Martha. If not just go for a relaxing weekend to the Tayrona National Park… you’ll love it! Abrazos and let me know how it goes. My life partner and I are amongst the happiest readers of your blog that you may ever have. How fortunate Colombia is to have one of her daughter’s return in order to discover her treasures and to report on them to the world! We actually cried when reading your comments, and those of the posters. For someone who hates to write, your words flow and your passion comes through full force, and your images are amazing. We are two Manhattanites who for a very long time had wanted to escape the disintegrating quality of life in the United States, and who for a very long time searched for a potential destination. Having travelled the world a great deal as well, we thought that France, where I had also lived a good part of my life, and where I still love so much –would be our final home. But one day we read an article in the Italian version of Vanity Fair, in which they called Bogota a hidden paradise, and that was it –we packed our bags and off we went to finally see what was going on in Colombia …and oh boy, nothing could have ever prepared us for the enchanted land that we found. To make a very long story short, February 24 was our one-year anniversary of living ecstatically in Bogota (!). Now, given the great misperception that still exists about Bogota and Colombia, we have decided to create the most important website in the history of Bogota for the international community. 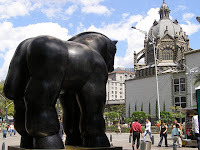 It is time for world travelers to really see the Colombian reality, and we are starting with Bogota. Our temporary website is already available for viewing, and we are working hard to have the “real site” go-online in about a week. Please check out www.bogotabrilliance.com where we have some photos, information on exciting cultural events and a bit more on this project. Of course, we would love to establish a reciprocal link with you once our own blog is active. Not only are we presenting this beautiful and amazing metropolis for the world to better see, but more audaciously, given the fact we are in a particularly strong position to compare Bogota to New York, Paris and London, we will pronounce Bogota as the “World Culture Capital of the New Millennium” –because it actually is! We look forward to reading your blog further, and hopefully meeting in person (we also love Usaquen and know of a great place for brunch). Im am from the U.K, based in London but looking to relocate to Colombia with my family at the end of this year. Hola Carlos... thank you for your comment and the link. It makes me very happy to know that you've discovered my beautiful Colombia. 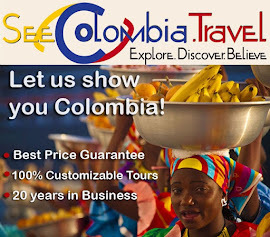 “Colombia Travel”, “Colombia Tours”. Faster and faster, those phrases are becoming very sought after on the internet, more and more often those are words I hear from foreign friends amazed by the beauty of Colombia... and I can't help but smile. Colombia, my beautiful home country is finally on the map to be re-discovered as the astonishing travel destination it is. After living in England for a decade I decided to come back and be part of the current renaissance of my home country. After more than 50 years of convulsed history, Colombia is now a safe land, virtually untouched by foreign tourism and waiting to be developed as a major touristic destination in Latin America. I have travelled a lot around Latin America as a tour leader for an English company, I have seen many many outstanding, overwhelming landscapes, shared with a lot of great Latin American people, all of them proud of their countries and heritage, now is time for me to show Colombia to the world. 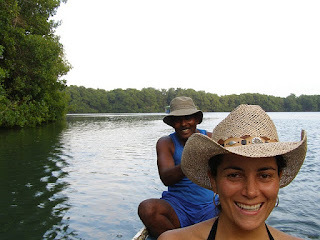 Through my blog I want you to have the chance to see my beautiful and passionate country. As they very well say, when you travel to Colombia the only risk is wanting to stay! Who's following my Colombia Travels?